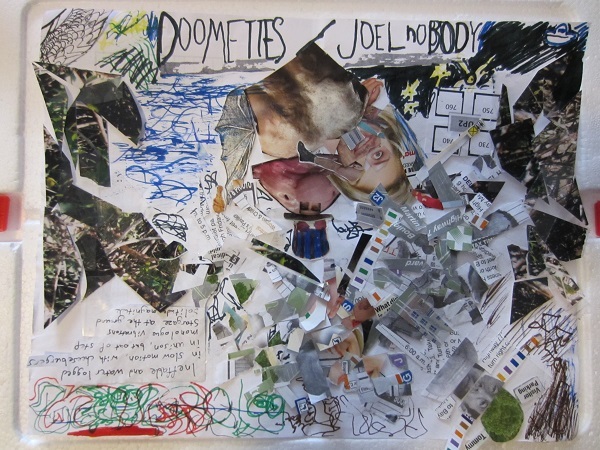 The artwork for With A Flashlight ‘Neath My Chin by Doomettes and Joel Nobody looks like a tornado blew through a collage! Just look at all the great stuff you’re gonna get as part of this exclusive one-time offer! Too HOT for TV! This is YIKIS-Gone-Wild, the review they didn’t want you to see! It’s got girls in bikinis! It’s got “fowl” language, raunchy humour! It’s got bros with bro voices telling you how CRAZY it is, bro! It’s got all-natural cures you’re not gonna believe, all for just a little over ₫9,000 + shipping and “handling”… but wait, there’s more!.. … wait… is there more?.. … call right now and talk to hot local singles in your area, like Joel Nobody with his ‘Tales From Shinbone Alley’, an ambient series of guitar acoustics and breathy spring reverb vocals. You’ve just got 19 minutes and 38 seconds left to order this limited-time-only commemorative placard of sound with Joel Nobody’s voice on it! Hello? Caller?..